Boulevard Of Broken Dreams. 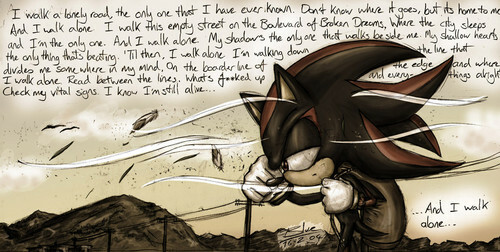 I amor this song.^.^ Poor Shadow's all alone. :( (I don't own this.). HD Wallpaper and background images in the shadow el erizo club tagged: shadow the hedgehog shadow the hedgehog. I love the song Boulevard of Broken Dreams!! FAVE GREEN DAY SONG EVER!! !